Welcome to our Myotonic Does Page! blue eyes reflected in our herd. back in the 1950's. 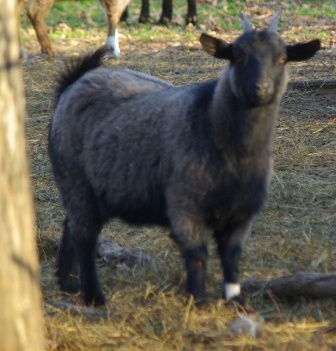 We look for the BEST goats and have built our breeding program around producing correct goats that will be an asset to future generations of this wonderful breed. to keep current or contact us for available does. Come on in and visit a while and check out some of our breeding stock and kids. Visits in person to BTR are welcome too. Just drop us a line or give us a phone call to set up a convenient time.